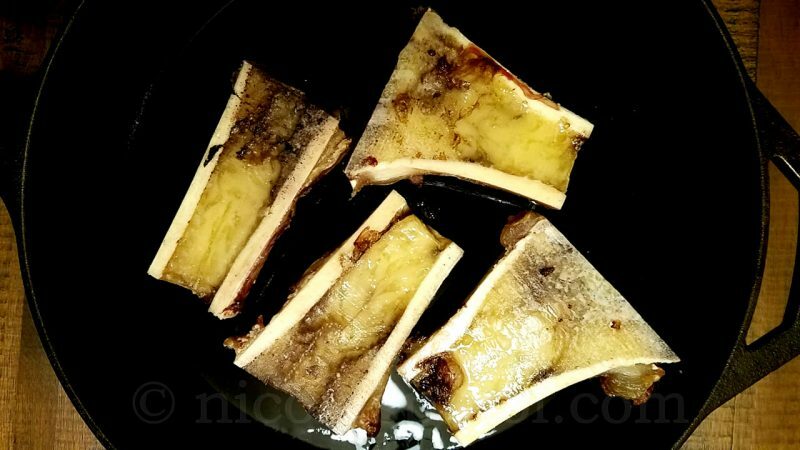 Bone marrow is popular in many cuisines that cook meat with the bones. Some classics include bone marrow soups, as well as pork chops or ribs that often leave a small piece of marrow. These bits are very tiny. The soup is one way to get a lot more of the nutrients from the full marrow and the bone by slow-cooking them and letting them fully dissolve. Alternatively, you can go to your butcher and ask for a lengthwise cut of one of the large bones he has in stock. This is often the shank of a cow’s femur, and other parts work as well. My friend Dr. 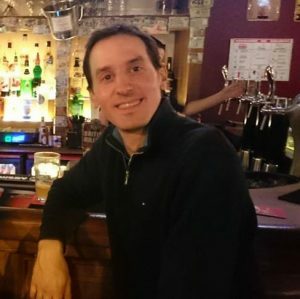 Guy Pelouze is a cardiothoracic surgeon in France and a researcher. He recommends a diet high in nutrients and low in calories, especially calories coming from carbohydrates. Modern foods have placed an increasingly high load of carbohydrates in our diet. At the same time, too much protein can become pro-inflammatory, so the idea is to get the maximum amount of micronutrients (vitamins, minerals, antioxidants, etc) with the appropriate amount of calories. Bone marrow is mostly fat and micronutrients. 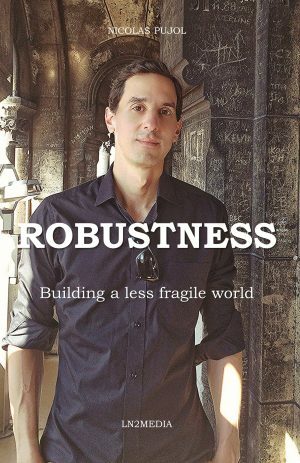 It doesn’t give much to eat when consumed on its own. 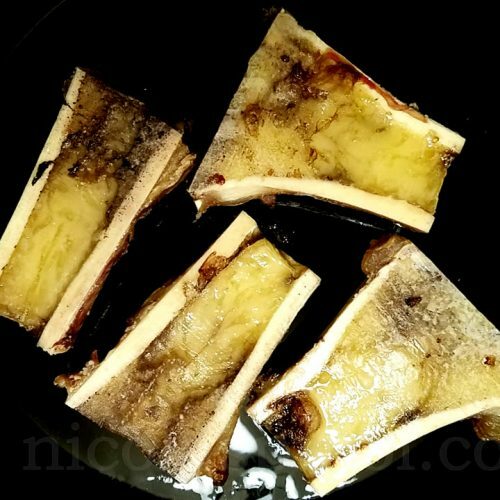 In a future article, I’ll post the bone marrow soup, which extracts more of bone than just the soft marrow. Packed with nutrients, baked red bone marrow provides a tasty side dish to enjoy for your Paleo meals or once in a while. 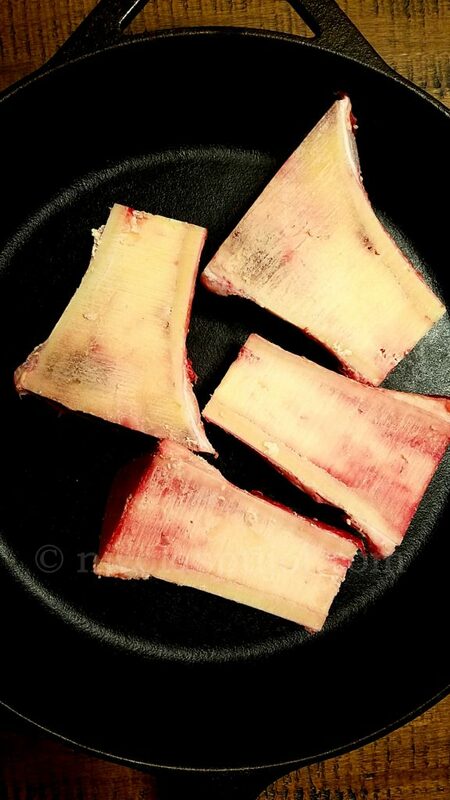 2 lb Red bone marrow Prefer natural meats free of antibiotics and pasture-raised. Serve with a salad, sweet potatoes or your choice of vegetables.